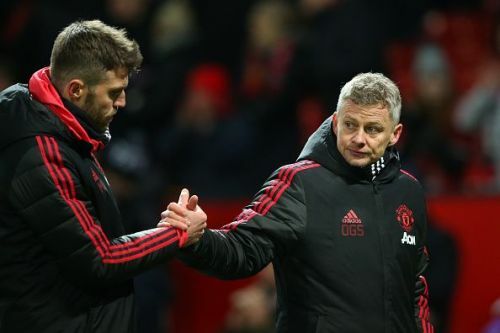 Manchester United and Ole Gunnar Solskjaer's eight matches winning streak came to an end against Burnley. The starting XI was a bit different from United's last Premier League game as Shaw, Juan Mata, Romelu Lukaku and Andreas Pereira, all came back to the starting XI. Solskjaer lined United up in a much familiar 4-3-3 with Lukaku as the centre forward, Rashford no the left, Mata on the right and Paul Pogba as a number 10. In the first half of the game, United had much of the ball but were finding it hard to break Burnley down. Rashford missed an easy one-on-one against Tom Heaton which just summed up United's first half. In the second half, the match took a dramatic turn after Burnley scored from a Pereira mistake as he gave away the ball in the middle of the park and Ashley Barnes scored. The second goal scored by Burnley highlighted the defensive mistakes that United tend to make in every match as a simple cross was allowed to come in from the right and Chris Wood headed it in. Manchester United looked dead and buried but they started their come back via Pogba's penalty after Jesse Lingard, who came on a sub, was brought down. The equaliser was scored by Victor Lindelof and it was his first goal for Manchester United. In the end, United weren't looking as clinical as they have been under Solskjaer so far but the late comeback is one positive that the Red Devils could take into the next match. David didn't have much to do in the first half as Burnley rarely tested him and Manchester United had all of the ball. In the second half, he couldn't have done much in the two Burnley goals and he did have to make some routine saves. Luke was literally playing as a left winger for much of this game. He made some good runs down the left but he just couldn't find the final pass. In the second half, Shaw was guilty of letting the cross from the right come in which led to Burnley's second goal. Lindelof is growing in confidence with every match he is playing and again he was the pick of the United defenders. He dealt really well with the long diagonals that Burnley were putting in and as always he was brilliant on the ball. He scored United's equaliser and it was his first goal for the Red Devils. Jones was absolutely poor in this match and just highlighted the concerns United have at the back. It was his bad pass to Pereira that led to the Brazilian losing the ball and eventually ending up into the back of United's net. He was helped by the presence of Victor but after this performance, Solskjaer would certainly want to replace him in the next match. Ashley Young also was literally playing as a right winger for most of the match. Though he was defensively sound, his crossing let him down. He had crossed more than 10 crosses and only one or two of them found a United shirt. It was his cross though that led to United's equaliser late into the stoppage time of the match. Matic looked good in the first half as he was good defensively and didn't let Burnley's midfield settle in. In the second had though, he was overrun by Cork many times and he was guilty of a lot of side-passing rather than passing forward. The Serbian didn't have many cover-ups as Ander Herrera was rested and Pereira had a bad game. Andreas had a match to forget after he was caught in possession in the middle of the park which led to Burnley's first goal. He lost the ball many times and was struggling to keep up with Burnley's physicality. He didn't provide much help defensively to Matic either and had a one of the worst games of his life. The Brazilian was then substituted for Jesse Lingard in the second half. Paul had an average first half as whenever he got the ball, he was looking to create but the United players weren't really looking up to the mark. 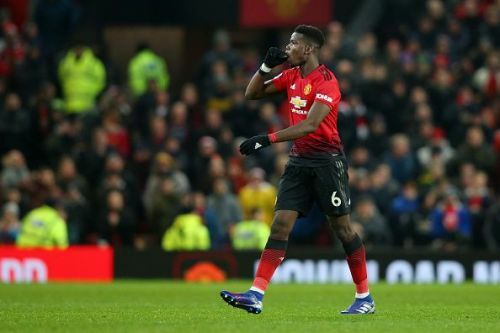 In the second half, Pogba was the one who started United's comeback with a penalty and he then had a shot from outside of the box which Heaton saved well. All in all, Paul was looking United's best attacker on the day and maybe the man of the match. To be very honest, Mata doesn't play really well whenever he is started on the right. It was the same here, as he was drifting in-field whenever he got the chance. He created the most opportunities on the pitch with four but his pressing also let him down a bit. Marcus had his worst game since Solskjaer took over and he missed a brilliant one-on-one opportunity very early in the first half which he would be regretting not putting away. He wasn't really in the match in the first half as he saw very little of the ball and whenever he got the ball, he was very loose with his touch. Marcus really is better off playing as a striker. Lukaku also had his worst game since Solskjaer took over as again his first touch let him down. He didn't win many aerial duels against the Burnley defenders and was finding it hard to come into the match. His one shot was saved very well from Heaton but apart from that. The Belgian wasn't at his best throughout the 90 minutes. Lingard really changed the game after coming on as he won the penalty for United that Pogba put away. His pressing, movement and presence in the final third was sorely missed by the Red Devils and that was shown after he came on. His pressing is an integral part of Ole's system and that was seen in the last 32 minutes of the game. Alexis came in late for Lukaku and he didn't see the ball much. He misplaced a few passes after coming on but it was his parried header which fell to Lindelof and that eventually led to the Swedish defender equalising for United.